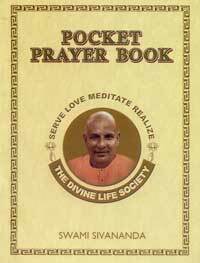 This POCKET PRAYER BOOK is a boon to aspirants. Prepared under the guidance and inspiration of Sri Swami Sivanandaji Maharaj, the book practically chalks out an aspirant's morning programme of spiritual activity. The inclusion in it of the essence of the Bhagavad Gita, and the Upanishads would be found to be most valuable, as also of selections from Ramacharitamanas. The spiritual instructions of Sri Swami Sivanandaji Maharaj which are included at the end of the book would provide a perennial fount of refreshing inspiration.